Post-recession economics, combined with ever-expanding technology complexity, are quickly rendering established IT systems and operations obsolete and impractical. How do you manage the demand from the business? What processes should you focus on to focus on three core objectives: high productivity, high quality, and high flexibility? You must automate and streamline more than just your incident management processes. 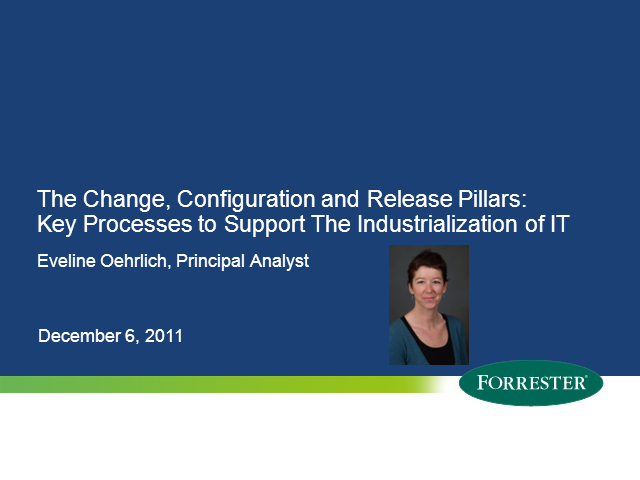 The change, configuration and release management processes are the foundation of an agile IT organization. Join us on this panel to hear the challenges, the successes and ask questions which will aid you on your journey.